Shortening a link has several benefits besides just being easy on the eyes. It allows users to fit more content on social platforms like Twitter and also provides quantitative data. Frequency, day, time and where in the world a link was clicked are just some of the metrics that can be measured. Branding is also another plus. Bit.ly allows users to shorten links and create custom bit links which is a great branding opportunity for any business. Branded urls allow users to reinforce a name, builds trust and may lead to higher click through rates because readers can understand what the shortened link says. 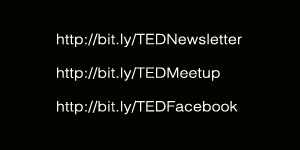 For example, the link to The Emerging Designer newsletter signup page is http://eepurl.com/k7n35 and a customized Bit link is http://bit.ly/TEDNewsletter.